We took our first day trip as a family. Of course we’ve been on excursions with the babes before, but the activity has not lasted longer than an hour or two. But it was a holiday weekend, and the girls are over six months old, so we decided to go big. 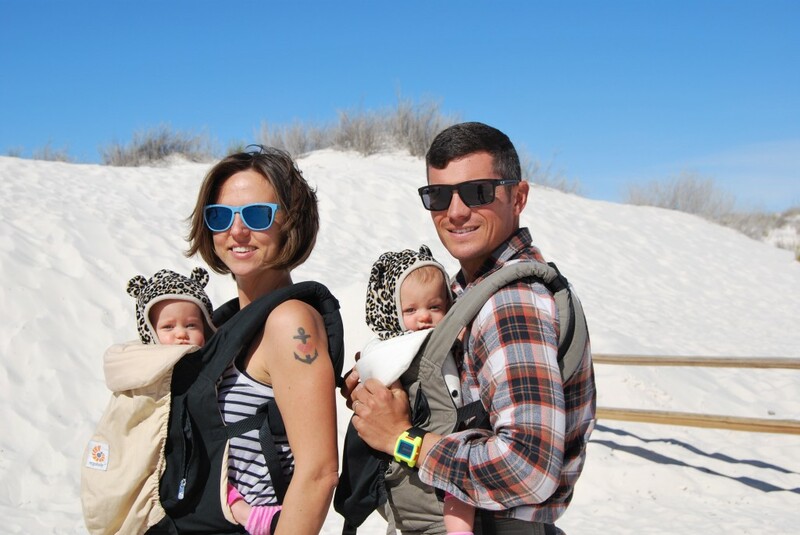 Our little family drove to White Sands National Monument in Alamogordo, New Mexico. It’s about an hour and a half drive from El Paso. I am happy to report that the girls did great. They’ve never spent three hours in a carseat in one day. They only cried for the last 20 minutes driving home! They cry more than that during an average activity, so I felt victorious. As you can see from these photos that I took with one hand and didn’t have time to edit at all…the park is gorgeous. The picture below is my favorite. I feel as if it captures the essence of the park, its soul. White sand. Blue sky. Mesmerizing. It’s the simplest things that are most satisfying. The naked dunes are beautiful with their endless rippled pattern. 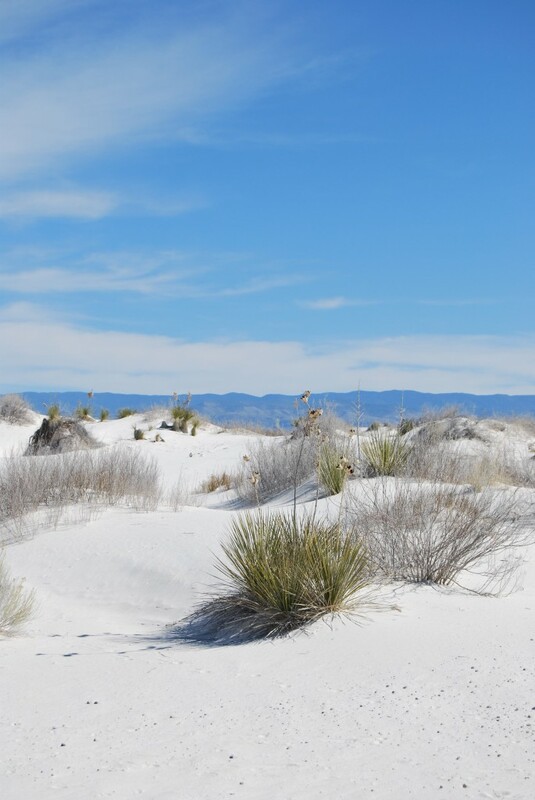 And likewise, the dunes that were home to Yucca and other desert flora were sublime. As a family (with two small babes) we didn’t get to wander very far, but I could have walked for days. 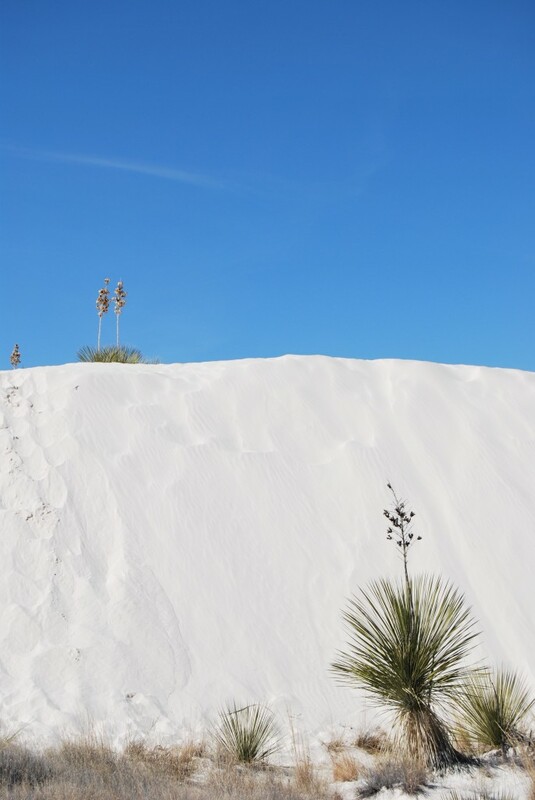 White Sands is a great natural wonder of this country. 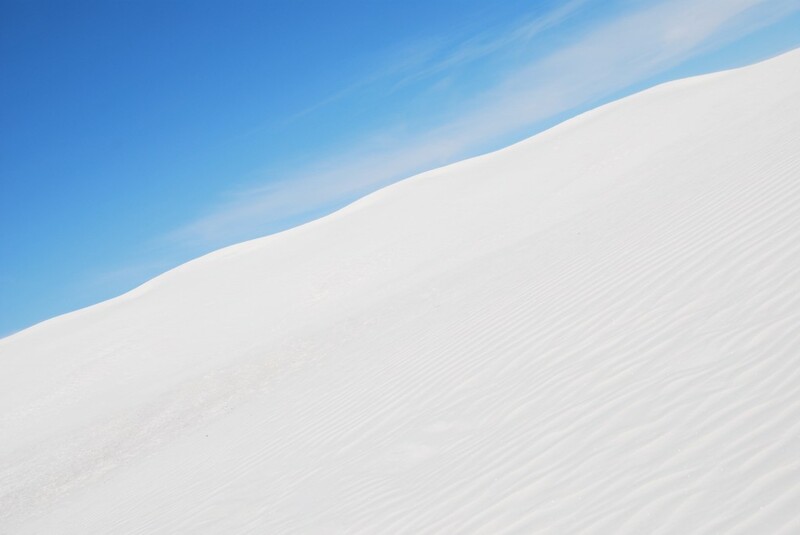 It’s 275 square miles of gypsum sand dunes in the middle of the desert with gorgeous mountain views in the background. It is actually the world’s largest dune field. The park offers hiking, picnicking, guided tours, and camping. The highlight activity is grabbing a sled and coasting down the large dunes. As fun as it looked, alas it was not the right time to introduce our children to sledding. Maybe on the next go around they’ll be mature enough. I just hope that I’m not too mature to join them. 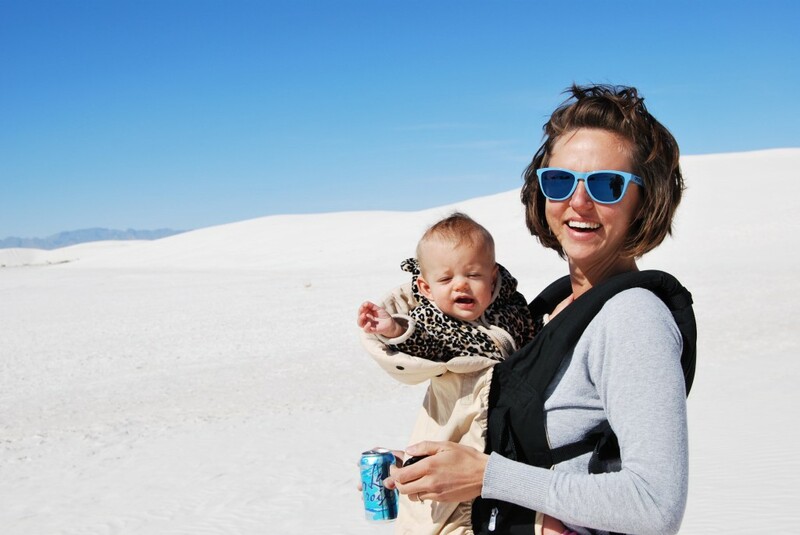 This entry was posted in Texas, Travels, Uncategorized and tagged New Mexico, Travel with babies, twins, White Sands National Monument.